This is the first novel I have read by Ben Cheetham and it won't be the last. 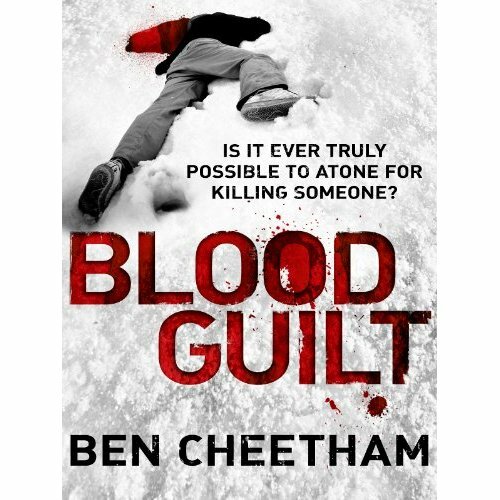 Blood Guilt is a cracking page turner of a thriller. I found it well written, suspenseful and above all believable. Cheetham whilst cranking up the tension never once over does it. The dialogue is snappy, clever and again totally believable. Harlan is desperate to make amends for killing a man and he puts aside everything else in his life in his quest to help the widow. He crosses the line again and again. I found my frustrations mounting with Harlan, the central character, as he felt the need to punish himself time and again. I felt sympathy for his partner, Eve, as she was knocked back again and again by Harlan's self-destructive actions and yet despite this remains devoted to him. Ben Cheetham proved himself a fine story teller and I became a fan after reading this novel. The author doesn’t bog down the text with too much descriptive dialogue. He chooses instead to add it when it is needed most and this makes Blood Guilt a gratifying read. On the whole a fine tale well told and one I would recommend to lovers of good thrillers. Cheetham is an author to watch and I hope he gets the success he deserves with this excellent thriller.